As Chairman of the Board of the Nelson Mandela Foundation I am acutely aware of the immense task we face as an organisation and a country to continue the legacy of one of the greatest statesmen of all times. Leaders like Nelson Mandela are rare. Seldom do we see such personal sacrifice, selflessness and commitment toward the ideal of social justice for all. To lead with such humility, to be uncompromising about the greatness of our humanity, to be loved across party lines, geographic boundaries, religious affiliations and to be a champion for the poor and marginalised across the globe is the mark of an extraordinary leader. Three years after the passing of Nelson Mandela we face the difficult of task of giving continuous meaning to his legacy in a contemporary world fraught with religious conflict, political division, growing social insecurity and a global populace growing impatient about their lot in life. The challenge we face is to continuously reimagine Mandela’s legacy to remain relevant to our times. Part of remaining relevant is staying close to the issues we face. One of these issues was the recent student protests across our country under the banner of the ‘Must Fall’ movements initiated initially by ‘Rhodes Must Fall’ and later evolving into ‘Fees Must Fall’. We have engaged the student voices around these sentiments to appreciate what drives their unhappiness. It is concerning that in a country with a deficit of skills, especially among black youth, that access to higher education is still the preserve of those who have the means. Once at university, students grapple with the social and ideological contradictions of our society to seek lasting solutions. A common theme that emerges is that our system is broken and we face the task of helping to fix it. Underlying this is a social and economic system that has delivered South Africa the dubious honour of being one of the most unequal societies in the world. We see it all around us every day. The level of poverty and inequality is wrong, dangerous and unsustainable. If not fixed, we face growing and dangerous resentment that is already brewing in unhealthy proportions. Some of the resentment comes from the growing chorus of people who feel that the state has been compromised by certain business interests, while others go further to say that democracy itself is captured, to use the popular parlance. It is concerning to see public institutions like the SABC, Chapter Nine organisations like the public protector or certain state-owned enterprises either serving the interests of individuals or the governing party or being unfairly criticised for doing their work. Our Constitution and its provisions for the independence of institutions that safeguard the abuse of power must be sacrosanct. We will continue to champion this and continue to express our concerns if the values that our founder sacrificed so much for are compromised and worse still, undermined. One way in which these values are compromised and which robs South Africa of the ability to deliver services to the poor is the endemic corruption that we hear about through our work. A national commitment and political will is required to restore clean, ethical and transparent governance. It’s what we owe our people. We are going through a difficult phase in South Africa and our resolve to stand up for what we believe is right is being severely tested. 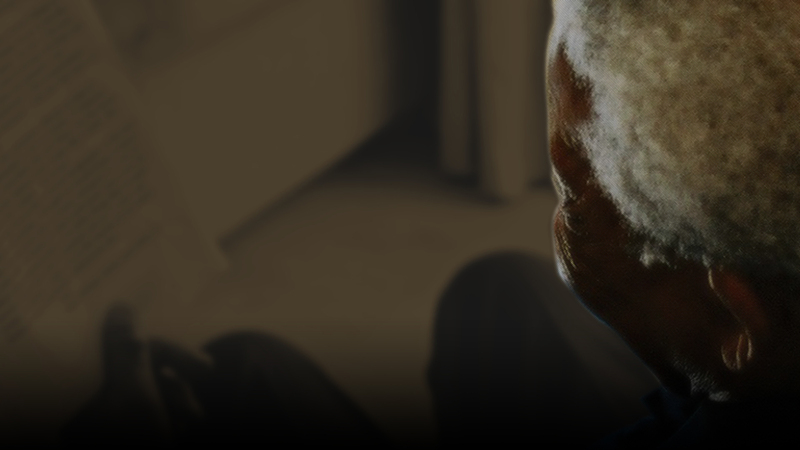 These are some of the issues we face in the work of the Nelson Mandela Foundation. Further afield on the African continent the challenge of social justice remains an urgent priority for many citizens. Africans leaving their countries in pursuit of work, safety and security and the promise of a better life for their children is too large a tragedy to ignore. The baton we’ve been handed by Mandela to continue his commitment to social justice in this context is an immense one. One who shared his passion for justice and who was a close friend, and fellow Robben Islander, was Ahmed Kathrada. Kathrada served on the board of the Nelson Mandela Foundation for 16 years and has decided to step down from the Board. On behalf of the Board I wish to thank Ahmed Kathrada for his unwavering commitment, immense contribution and personal sacrifice to serve both the Foundation and the people of South Africa. Your contribution forms an indelible mark on the South African landscape. I must also thank my fellow Board members, the Chief Executive of the Nelson Mandela Foundation, Sello Hatang, and his staff for the good work in the past year and to wish them well in the challenges ahead. Lastly, as an NGO the Foundation depends on donor support. I thank all the donors who contributed both funds and in kind donations to continue Madiba’s legacy. Our work would not be possible without your support.